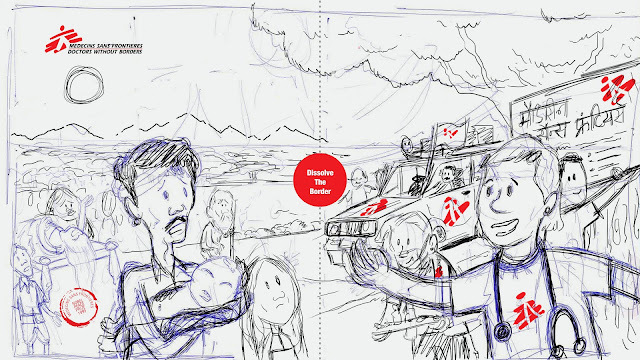 When I first heard about Doctors Without Borders/Médecins Sans Frontières (MSF), I wished I was a doctor. It was wonderful - to go to distant lands, help people, there was risk, yet they made sure that it was worth your time. I so wished I was a medical student. But I wasn't - I was an engineer, not interested in engineering who wanted to become a cartoonist. So yup, no chance of me ever working for them. Well, if there is one thing god is good at - proving you wrong. 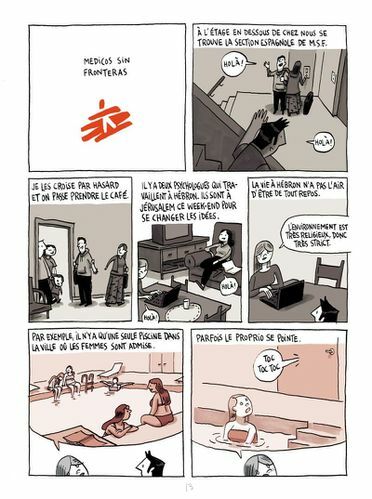 I got to know more about MSF in recent times from Guy Delisle's graphic novels - his wife works for MSF. And he like any obedient artist-husband tags along. 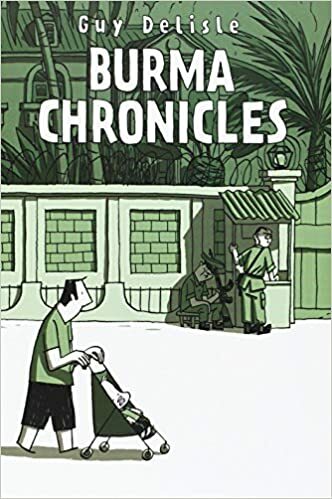 His work refreshed my initial memory of reading about MSF. And then it happened - MSF India got in touch and I got the chance to draw for their campaign #WithoutBorders. They were making a landing page, with semi animated illustrations - Where the audience can click a button and make MSF doctors and people in need meet. 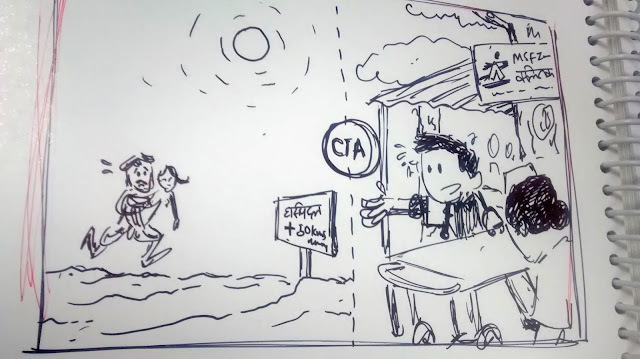 They wanted some Indian artists to do illustrations for this landing page. Me, Ojoswi, Siddharth Sengupta and baap of us all - Orijit Sen came together to do this. 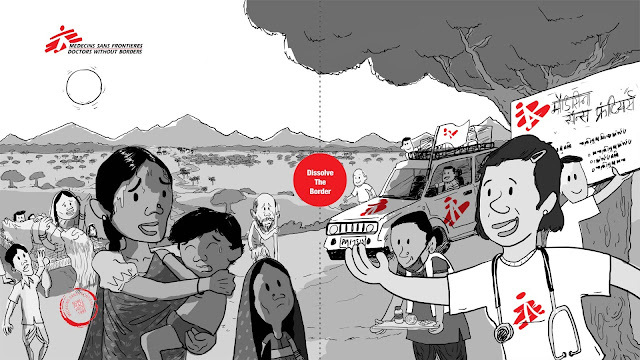 We are to make 4 illustrations encapsulating MSF's work in India they basically work with populations that are out of reach for traditional healthcare. 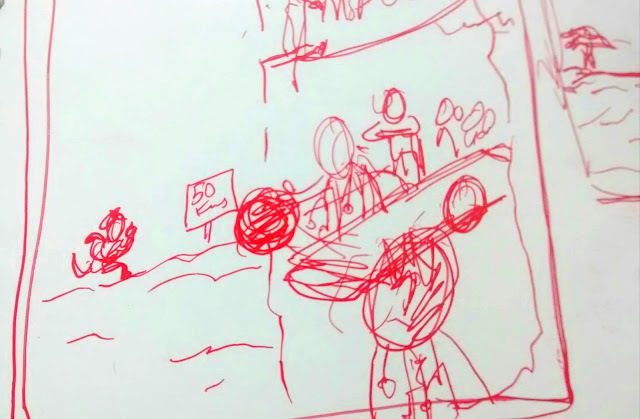 The landing page is up and has my illustration on it - but the link isn't being shared yet. What MSF wants you to do is join their Thunderclap campaign to release the full landing page with all four illustrations. Thunderclap is a "crowdspeaking" platform that lets you donate your social profiles for a moment in time - so a single status can be shared on a given moment. We the people of India are kanjoos chindi who will donate for religion because after life mein benifit milega - ya red light be gareeb ko sada hua apple de denge - kyunki mere saamne hi gareeb khaa le mujhe santushti milti hai. Bakwaas. shutt up! Why not empower an organisation reach those you personally can never reach! Maan bhi liya that you "urban poor" nahi de sakte. But you do lot of netagiri on social media - so when it comes to donate - paisa to doge nahi - social media hee donate kar do? that too for a brief moment in time? please! 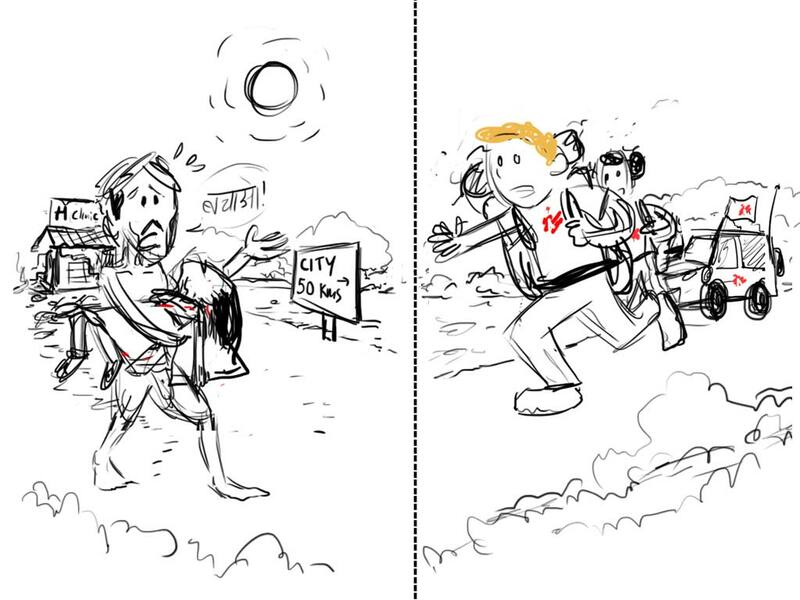 This was my way to contribute to MSF. Can you too? Please!